Discussion in 'Disney Pin Discussion' started by timeerkat, Mar 16, 2018. Heading over shortly (have to make a stop first). I'm anticipating a mellower release, as there isn't much presale or ISO buzz around these. My hope/guess for a surprise is Daisy in a Daisy or Bing Bong in his flower, though that one is a total shot in the dark. Listen for my screams if it turns out to be him. It's also to be seen if enough people buy Skylar to make the PTDs flip during the release. bookhugger, Sami and Addicted to Alice Pins like this. I hope for you Tessa, it’s BingBong! I really can’t imagine who’d make more sense. Well, Daisy sure. @arielsdinglehopper @unibear Who else collects Marie/cats? I know I'm forgetting someone. CCofRR13, arielsdinglehopper, CanaDaLE and 2 others like this. That is such a cute pin. They cat people will love it. My daughter collects Marie! If anyone trading, let me know. 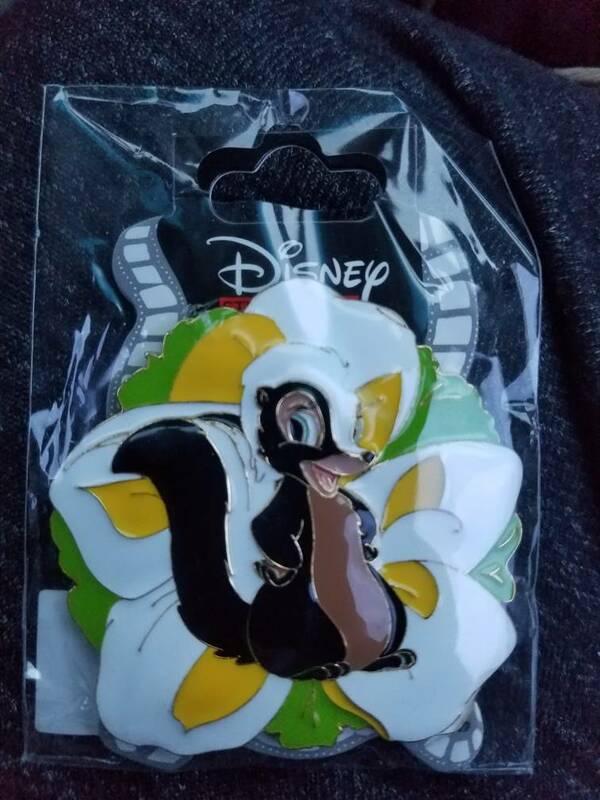 Really nice looking pin, and I don't collect Marie. So many potential allergens in one pin, ha ha. But she will indeed make a mighty nice trader for the 150 lucky peeps who get her! LadyBarclay, pretty Omi and Shelterkat like this. arielsdinglehopper, pretty Omi, DisneyJ and 4 others like this. Those are really nice pins in person! If anyone has Marie for trade please let me know! 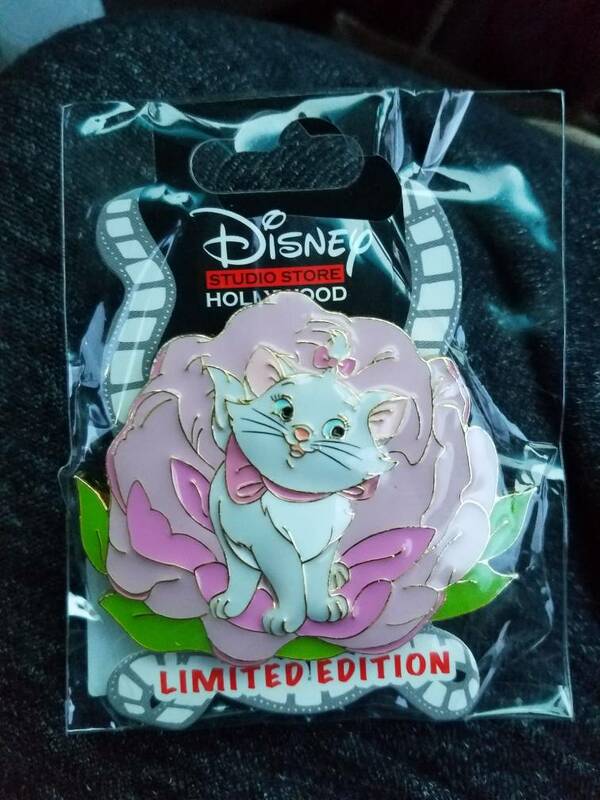 Crud, my wife just called, who doesn't collect pins mind you (except for C&D) but loves cats, and has enlisted me to get Marie. I'll add my name to the list of those in search of her. Thanks! I really thought I could survive this release without needing any pins. I can only get really decent numbers at super low turnout releases, it seems. Pulled number 85. (Whee! I almost forgot what getting a sub-100 number felt like!) The wind was no joke and made it feel twice as cold as it actually was, but luckily the line moved super quickly so I was able to get in, get Kevin and Marie, and get out before 6:45. Then I went home to thaw for about an hour before heading to work. It was nice to say hi to Sami in person! Also, if you plan on trading for or buying these online, ask for clear pictures of the exact pin(s). A lot of these had little black spots and thread-like marks in the enamel. It kind of looks like lint or dust was stirred into the enamel before being poured. Nothing that looked HORRIBLY bad or distracting, but some were worse than others. If you have last year's Easter eggs or any other pin with this kind of finish, you probably know what I mean (as I recall, many of those eggs had this same dark spot/line problem). Ajk and Sami like this.